Find out about the Slovak student community at Southampton, entry requirements for our courses and other information specific to your country. If you have any questions about studying at the University of Southampton, please contact the International Office team. This information is for general guidance only; entry requirements vary for different courses. For more specific details, please visit the relevant course web page or contact the admissions office for your chosen subject area. If you do not have the traditional entry requirements for our undergraduate courses, you may be able to qualify by doing one of our foundation programmes first. To find out more, visit our foundation years page or contact the International Office team. You will need to be able to demonstrate the required level of English language proficiency. Find out more about our English language requirements and support. We are pleased to welcome students from Slovakia to the University each year. In 2016/17 we have 16 Slovak students studying with us. We also welcomed 1 Erasmus student from our Slovak partner institutions. Getting involved in clubs and societies is a great way to meet other students from your country and from around the world. There are many societies run by the University's Students' Union (SUSU) for different interests, religions, sports and academic groups. 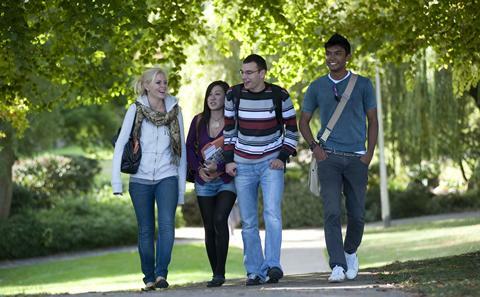 You may be interested in joining the University of Southampton Czech & Slovak Society on Facebook (log in required). Visit the University of Southampton Students' Union (SUSU) website for more information about clubs and societies.